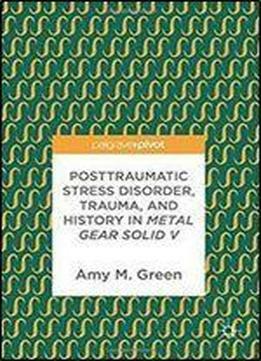 This book explores the video game Metal Gear Solid V's exploration of trauma and posttraumatic stress disorder (PTSD) through a careful analysis of its thematic elements and characters. It also considers the game's complex take on post-9/11 history. Metal Gear Solid V consists of two interrelated titles, Ground Zeroes and The Phantom Pain. Ground Zeroes is examined as a post-9/11 narrative exploring America's use of Guantanamo Bay and the extraordinary rendition program as tools in the War on Terror. The Phantom Pain is examined as a work exploring post-9/11 in trauma, especially in returning soldiers. The characters appearing in both games are given substantial consideration and analysis as embodiments of different forms of PTSD and trauma. This book appeals especially to those interested in video game study, to those who are enthusiasts of video games, and those interested in post-9/11 narratives.